Celebrate the true meaning of Christmas with Precious Moments! 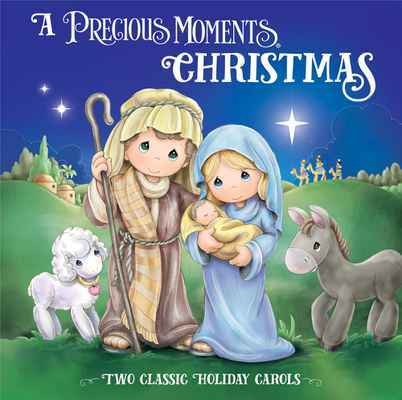 The Precious Moments characters are paired with two of the world's most treasured Christmas carols, "O Little Town of Bethlehem" and "Away in a Manger." The beautiful illustrations and classic lyrics come together to create a precious book that families can read aloud—or even sing!—together each Christmas for a new holiday treat.